Antoinette T. Carrozza, age 83, of McKeesport, died peacefully on January 31, 2018, at Jefferson Hospital. Born September 11, 1934, in McKeesport, she was the daughter of the late Dominick and Rachel (Delfini) Raffa and the wife of the late Joseph R. Carrozza. Nancy Baum Mack, 78, of Elizabeth Township, died January 30, 2018 at home. She was born October 26, 1939 in McKeesport and was the daughter of the late Wilson Wadsworth and Dorothy Endean Baum. Nancy was the wife of the late John Mabon Mack, who died September 26, 2004. She was a Real Estate Agent at the Wilson Baum Agency for 35 years. She was a member of Mount Vernon Community United Presbyterian Church, the Twentieth Century Club, Elizabeth Senior Citizens, Realtors Association of Metropolitan Pittsburgh, Youghiogheny Country Club, and the former MonYough Real Estate Association. Nancy is survived by her daughters, Sally Mack (David ) Sekowski of Norfolk, VA, Debra Mack (Marty) Humberson and Lori Mack (Steven) Meier of Elizabeth Township, brother, Robert (Janet) Baum of Elizabeth Township, grandchildren, Steven Sekowski, Jenna (James) Lingeris, Travis (Alexis) Humberson, Tyler Meier, Jon Sekowski, Kylie Humberson and Ryan Meier, great-grandchildren, Sophia, Jonathan and Charles Lingeris, nieces, nephews, sisters-in-law, Linda Mack, Cordelia Mack and Kaye Baum, brothers-in-law, Richard Mack, Harry Voskamp and Henry Voskamp, and her beloved dog, Gracie. 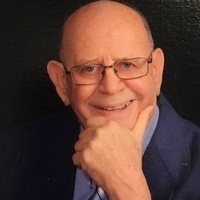 Ronald Peter Grebur Sr., 69 of White Oak, died unexpectedly on January 27, 2018 in Pembroke Pines, Florida surrounded by his loving family. Born August 10, 1948, in Pittsburgh, Pa, he was the son of the late Alex and Olga (Kucich) Grebur. Mildred "Smilja" Blagovich, 103, of McKeesport, died Monday, January 29. 2018. She was born November 11, 1914 in West Wilmerding and was the daughter of the late Nikola and Sava Kosich Zivkovich. She was the wife of the late Michael "Miso" Blagovich, Jr. They were married for 63 years. Mildred was the oldest member of St. Sava Serbian Orthodox Church and its Sisterhood, Kolo, Serbian National Federation Lodge 7, and was a former member of the Order of The Eastern Star. In 2016, Smilja was awarded Person of the Year by the Serb National Federation. She was a retired Head Cook at McKeesport High school and had 17 years of service there. She had also worked at the former Holiday House in Monroeville. She is survived by her daughter, Melva Jean (Richard) Buzzelli of Penn Hills, grandchildren, Michael A. Makatura of Orlando, FL, and Kimberly A. Miller of North Huntingdon, 5 great-grandchildren, 1 great-great-grandson, nieces and nephews. Paul L. McDonald, 92, of North Huntingdon, died Monday January 29, 2018. He was born October 19, 1925 in East McKeesport, a son of the late Leonard S. and Emma C. (Rolison) McDonald and was also preceded in death by his wife Grace J. (Rankin) Vranich McDonald, and his siblings Harry McDonald, Mary Caldwell, and Helen Bernhardy. Paul was a retired tool and die maker for Westinghouse Airbrake Co., Wilmerding, a member of Norwin Alliance Church, Shidle Lodge No. 601, Free and Accepted Masons, Irwin, and Syria Temple, Pittsburgh. He is survived by his children Paul L. McDonald Jr. and his wife Barbara of CA, Elaine McDonald of East McKeesport, Mark Vranich and his wife Cindi of FL, Carole Hancsak of UT, Martin Vranich and Cathy McDeavitt and her husband Thomas both of FL, Corrine Zecchini and her husband Thomas of North Huntingdon, and Connie Vranich of FL; eleven grandchildren; eight great grandchildren; also nieces and nephews. Harvey Wander, age 94, of White Oak, died Tuesday, January 30, 2018. He was born January 10, 1924 in Elizabeth, Pennsylvania, son of the late Morris and Minnie Mermelstein Wander. A well-known figure in Pittsburgh, he was an entrepreneur and business owner. He managed the first rock & roll club in Pittsburgh. He subsequently established Harvey’s House on Federal Street and later formed the Harvey Wander Agency, a bail bond business. Eugenia M. "Jennie" Gregg, age 90, of McKeesport, died January 26, 2018, at home. 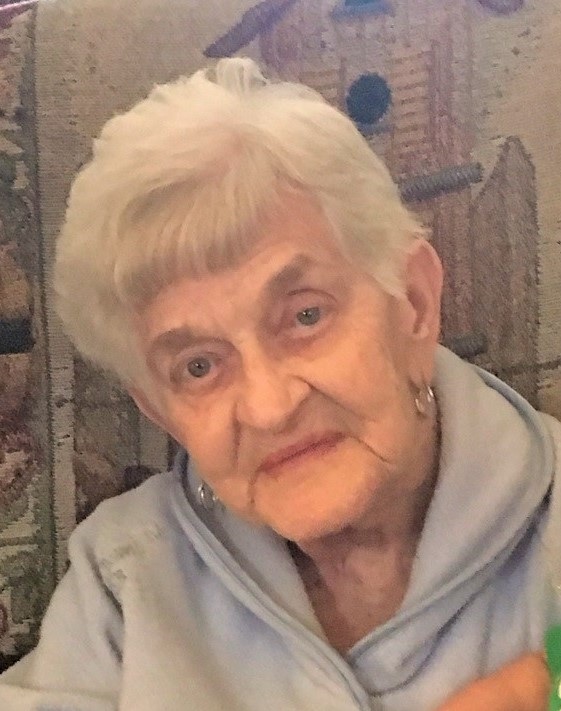 Born July 20, 1927, in Wilmerding, she was the daughter of the late Maciej and Mary (Dylong) Liput and the wife of the late Matthew W. Gregg, Sr.
Katherine Cindric, age 94 of North Versailles and formerly of Versailles Boro, passed away on Sunday, January 28, 2018 in UPMC East in Monroeville. Born December 1, 1923 in Versailles, she was a daughter of the late Anthony and Pauline (Falec) Coban. Rose D'Angelo Gladkowski, 97, of Glassport, died Jan. 29, 2018. She is the daughter of the late Antonio and Rosali Sgattoni and wife of the late John D'Angelo and Theodore Gladkowski. She is survived by her sons John (Terry Woytovich) D'Angelo and Louis (Shirley) D'Angelo; daughter Teresa (Robert) Klein; also 9 grandchildren and 9 great grandchildren. Rose worked at Glassport Glasshouse; managed the Allegheny tax office in McKeesport and was a retired supervisor for Allegheny County Treasurer's Office. She was a member of Queen of the Rosary Parish. Friends received Wojciechowski Funeral Home, Glassport, Tues. 4-8. A funeral mass will be held Wed.10:00 am at Queen of the Rosary Parish with Father Miroslaus Wojcicki. Interment following New St. Joseph Cemetery. Loretta A. Dibler, 67, of McKeesport, died Jan. 28, 2018. She is the daughter of the late Joseph and Helen (Karczewski) Nestor. She is survived by her husband Charles Dibler, daughter Carrie (James) Wright of Glassport and grandchildren Joshua Hansen and Brett Nolfi. Friends received Wojciechowski Funeral Home, Glassport, Wed.2-4 and 6-8. Dorothy Ann Sabina Barnes, age 91, of Dravosburg, died January 27th, 2018, at Southwestern Assisted Living Center in Pittsburgh. Frank Joseph (Big Poe) Pulkownik, 79, of Wind Ridge, passed away on January 27, 2018. Frank was born October 3, 1938 in Pittsburgh, the son of the late Frank and Sophia (Tereletsky) Pulkownik, of Duquesne. Frank served as a Heavy Truck Driver in the US Army from 1958-1961. After his military service, Frank protected his community for 23 years as a Police officer for the city of Duquesne. After leaving the Police Force, Frank worked as a laborer with Mastech until his retirement. Frank enjoyed fishing, hunting, and watching his grandsons participate in sporting events. Frank is survived by his former wife, Joanne Patrick of Munhall; two sons, John Pulkownik of Castle Shannon, and Joe Pulkownik of Munhall; two grandsons, Dylan and Logan Pulkownik of West Mifflin; and a brother, Bill (Jeanne) Pulkownik of Wind Ridge, along with several nieces and nephews. Zachary J. Ebbitt, age 33, of Pittsburgh, passed away Friday, January 26, 2018. He was born November 30, 1984 in Monroeville, the son of James (girlfriend Hazel Bizub) Ebbitt and the late Cheyrl S. (Redeker) Ebbitt. He graduated from Norwin High School and went onto earn a degree in Safety Engineering from Slippery Rock University and was the past Vice President of the fraternity Phi Kappa Theta. He went onto work at many locations as a safety engineer and was always smiling and well liked. In addition to his mother, he is preceded in death by his grandparents Claude and Polly Redeker and Clyde and Norma Ebbitt. Charles "Basil" Ursta, age 87, of White Oak, formerly of McKeesport, died January 25, 2018, at UPMC McKeesport. On January 27, 2018 our family bid farewell to its matriarch, Marion A. (Linn) Molinaro, age 88 of Elizabeth Twp. Born in McKeesport on September 28, 1929, she was the daughter of the late Fred and Adelaide (Flaherty) Linn. Marion graduated from Mercy Hospital School of Nursing and retired from UPMC McKeesport where she worked as a Registered Nurse for 40 years. Erik James “Egghead” Maselli, 37, of West Elizabeth, formerly of Clairton and Uniontown, where he was a construction contractor, passed away on Friday, January 26th, 2018 at UPMC Presbyterian Hospital. He was born in Pittsburgh on February, 1st 1980 to James R. Maselli and the late Judith Beckovich Maselli. Erik is survived by his wife, Shawna Fant Maselli. He is also survived by his son, Ashton Maselli of Clairton, daughter, Celina M. Maselli of Clairton, father, James R. Maselli of West Elizabeth, and brothers; James M.(Angela) Maselli, of Ravenna, OH and Shaun J. Maselli of West Elizabeth. Erik was preceded in death by his mother, Judith Beckovich Maselli. He was an avid outdoorsman that enjoyed hunting and fishing, as well as baseball. Arrangements have been entrusted to S.M. FINNEY FUNERAL HOME, 432 N. 6th St, Clairton, PA 15025. A memorial service will take place at Wilson Presbyterian Church, 400 North 4th St. in Clairton at 11:00am on Saturday February 17, 2018. The family requests that contributions be made to the funeral home to defray costs. Online condolences may be offered at www.finneyfuneralhome.com. C. Wesley Hughes, 79, of North Huntingdon, peacefully went to be with the Lord on Friday, January 26, 2018. He was born May 26, 1938 in Pittsburgh, a son of the late George and Charlotte (Heatherington) Hughes. Prior to his retirement, Wesley was a metallurgist for Westinghouse and was a member of Norwin Alliance Church, North Huntingdon. He taught Sunday School, enjoyed gardening and loved to research everything. In addition to his parents, he was preceded in death by his brother, Earl Hughes. He is survived by his wife of 60 years, Barbara Gilbert Hughes; sons, Charles Jr. and his wife, Betsy, Ken and his wife, Stephanie; daughters, Kathleen Hanna and her husband George, Sheila Gilpatrick; sister, Eleanor McNutt; nine grandchildren; and two great-grandchildren. Olga H. Morgan, age 86, of Port Vue, died Jan. 24, 2018, at Jefferson Hospital. Born Jan. 7, 1932, in McKeesport, she was the daughter of the late John and Maria (Demko) Hromanik and the wife of the late Robert Morgan, Jr.
Margaret R. Markland, 91, of North Huntingdon, passed away Friday, January 26, 2018 at The Grove at Irwin. She was born September 28, 1926 in McKeesport, Pa., a daughter of the late Samuel W. and Wanda M. (Colditz) Chapman. 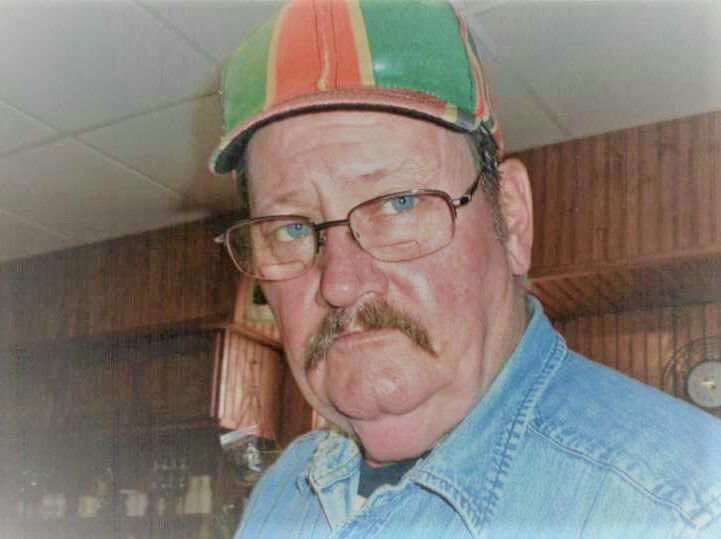 HOWARD SCOTT YODER age 70, of Dravosburg, was called home to Heaven on January 23, 2018. He was born April 15, 1947, in Peoria, IL, a son of the late Lloyd and Viola (Sell) Yoder. He retired from US Steel Clairton Works with 40 years service. Scott graduated from Pennridge High School, was a member of the Duquesne Croatian Club and a former member of the Stephen Bayard Lodge, Elizabeth. Beloved husband of 50 years to Dolores (Novosel) Yoder; loving father of Robert Scott (Shannon) Yoder of North Huntingdon, Stephen Yoder of West Deer, Sandra Yoder, and Sindy Yoder of Dravosburg; loving Pap of Mariah, Sophia, Isaiah, Leah, Noah, Bethany, Mackenzie, Kaitlyn, Nicolette, and Ava; brother of Sumi (Craig) Gerhart, David Yoder, Paul Yoder, Bob (Bev) Yoder, Ray Yoder, Lilian (Charlie) Walton, Dale (Nicki) Yoder. Preceded in death by his siblings, Jack Yoder, Charlotte (late Chuck) Strouse, Leon Yoder, and Frank (surviving spouse, Kathy) Yoder. Patricia Dowden, age 72, of North Versailles, passed away on Wednesday, January 24, 2018 in Forbes Hospital, Monroeville. Born December 17, 1945 in McKeesport, she was a daughter of the late Jerome J. and Katherine (Brown) Pater. Donna M. Peat, age 80, of North Huntingdon, passed away Wednesday, January 24, 2018 at The Grove at Irwin. She was born March 29, 1937 in McKeesport, Pa., a daughter of the late Charles W. and Gaffney Sterner. Susan C. Lis, 66, of Port Vue, died Jan. 24, 2018. She is survived by her companion of 25 years, Bruce Bradshaw; son Ken (Kelly) Schroder of Port Vue, daughters Jennifer (Jason Hoover) Lis of Liberty Boro and Suzanne Lis of Port Vue; grandchildren Adam Schroder, Anthony Betters, Hunter Monell, Evan Monell, Ava Kargel, Logan Margie and Chloe Hoover; and brother George Kudrick. Susan was a retired bus driver for Laidlaw Teamsters 205. She also worked for Hills and Westinghouse. Friends received Wojciechowski Funeral Home, Glassport, Sat. 2-4 and 6-8. Carol A. Gallagher, age 84, died January 23, 2018, at UPMC Presbyterian Hospital. Born October 19, 1933, in Cambridge, OH, she was the daughter of the late Charles and Helen (Aichele) Gallagher. Warren E. Snider, age 78 of Ellwood City and formerly of Elizabeth Twp., passed away Tuesday, January 23, 2018 at Golden Hill Nursing Home, following an on and off again battle with cancer. Born April 16, 1939 in Dravosburg, he was the son of the late Floyd and Ethel (Wall) Snider. Mary Ann Stefan, 96, of Duquesne, died Jan. 22, 2018. She is the daughter of the late Michael and Mary Mykytyn. She is the wife of the late Michael Stefan. Mary Ann is survived by her son Larry (Cheryl) Stefan of West Mifflin; grandson Clinton Stefan of West Mifflin; and nieces Audrey (Jack) Resnik and Sylvia (John) Ugstandt. She was preceded in death by her brother Charles Mykytyn, sister Stella Obrosky and grandson Brandon Stefan. Mary Ann was a member of Christ the Light of the World Parish. Friends received Teichart-Gracan Funeral Home, Duquesne, Thurs. 2-4 and 6-8. A funeral blessing will be held Fri. at Noon in the funeral home with Father Tom Lewandowski, followed by a 12:30 pm funeral mass at Holy Name Church. Interment following St. Hedwig Cemetery. Doris L. Benick, age 85 of McKeesport, died Tuesday, January 23, 2018. She was born August 7, 1932 in McKeesport, the daughter of the late James and Agnes Schultz O’Brien. In addition to her parents, she was preceded in death by her sister, Maureen Demuzio. James R. Brown, 82, of North Huntingdon, Pa., passed away Monday, January 22, 2018 at Select Specialty Hospital, McKeesport. Olga A. Pupich, age 95, of Palm Bay, FL, formerly of Liberty Borough, died January 18, 2018, in Florida. Born October 6, 1922, in Duquesne, she was the daughter of the late John and Mary (Slavik) Hricko and the wife of the late Edward F. Pupich, for 70 years. Paul T. Cody, 89, of North Huntingdon, died Saturday January 20, 2018. He was born November 30, 1928 in Pittsburgh a son of the late Martin and Marie Cody and was raised by his grandparent the late Timothy and Mabel Sexton. Paul was a retired dispatcher for the Port Authority of Allegheny County, a Navy veteran of WWII, and a member of St. Agnes Catholic Church, North Huntingdon. 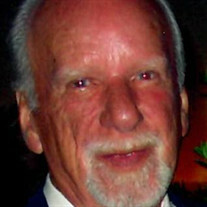 He enjoyed his golfing and bowling leagues, was an avid reader and history buff, and loved to fish. His Sunday was not complete if he could not complete the New York Times crossword puzzle in an hour. In addition to his parents and grandparents he is preceded in death by children Paul Cody and Kathleen Billings and siblings Dorothy McDermott, Terrance and Patrick Cody. He is survived by his wife Theresa (Cicco) Cody; his children Barbara Mills, Vicki Weber, Mary E. Aitkin, and Christopher Cody; eight grandchildren; thirteen great grandchildren; also nieces and nephews including special niece Linda Williams. David Earl Robertson, Jr. 47, of Forward Township, died Sunday, January 21, 2018 at home. He was born August 12, 1970 in Jeannette and was the son of the late David E. Robertson, Sr. and the late Carolee Bodnar Robertson. David was an Electrician and was a member of the PNA. He is survived by his son, Chance David Robertson and daughter, Jordan Nicole Robertson of Altamonte Springs, FL, sisters, Leeann (Patrick Finney) Robertson of Forward Township and Nancy (Paul) Malush of Smock, and nephews, Tyler, Brad, Tyler, Dylan, Gunnar and Sawyer. 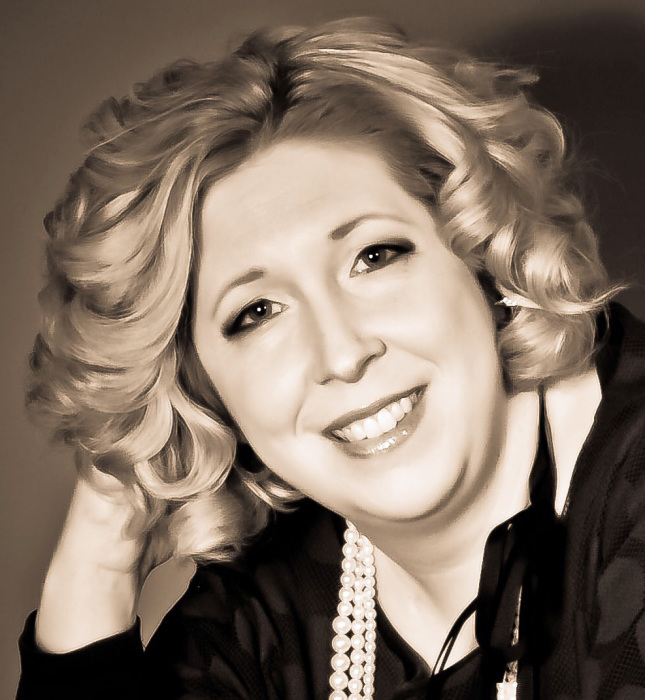 Maria Elizabeth (Bajus) Heddleston, 42, is now with the Lord, after her 7-year battle of stage four breast cancer, on January 22, 2018 in Pittsburgh, PA.
Maria was born August 28, 1975 in Pittsburgh, PA to Donald and Mary Louise Bajus. She was a 1993 graduate of Steel Valley High School and received her Bachelor’s Degree from Edinboro University in 1997. She also earned a Master’s of Education from Slippery Rock in 2003. In 2008, she became a National Board Certified Teacher and recently became recertified in December of 2017. She was very active in St. John’s Byzantine Catholic Church in Munhall. Maria married Brian Heddleston in November of 2001. Brenda L. Chadwick, age 69, of McKeesport, died January 21, 2018, at home with her family by her side. Born March 14, 1948, in Clearfield, KY, she was the daughter of the late James O. and Elnora Faye (Mynheir) Lambert and the wife of James L. Chadwick for over 45 years. GOLDIE R. (DEMES) OSKIN Goldie was born on April 22, 1931, and was called to heaven on January 21, 2018. She was a graduate of Duquesne High School where she returned in 1967 as a Business teacher. Her activities included drama coach, cheerleading sponsor, choral director, pep club advisor, senior class advisor, year book advisor, and music teacher on an “Emergency Certificate.” She also taught at Glassport in its final year as the Glassport Education District (1965-66) and then at South Allegheny in its first year as the jointure (1966-67). She received her BS degree in Education from the University of Pittsburgh and is a life-long member of the Pitt Alumni Association. She was also a member of the Heinz Chapel Choir in the early 50’s. In addition, Mrs. Oskin was a member of the NEA-R, PSEA-R, and the Allegheny County-R Education Association. In the community, she served as Secretary of the City of Duquesne Planning Commission; Treasurer of the Board of the Duquesne-West Mifflin Boys and Girls Club; Secretary of P.R.I.D.E. (Easter Egg Hunt, Light-Up Night Emcee, Clean-Up City with School Students, and Concerts in the Park). She was a member of the First Presbyterian Church of Duquesne for 74 years where she was the organist, a choir member, Clerk of Session, Elder, Sunday school teacher, Summer Bible School supervisor, and a member of the Church’s drama group. Mrs. Oskin was a member of the International Federation of Women’s Clubs on the local, county, district, and state levels. Locally, she served as President of the GFWC Women’s Club of Duquesne, the Circa East Civic Club, the ACFWC Circle of Presidents, and then as President of the Allegheny County Federation of Women’s Clubs. In the Southwestern District, she acted as Chairman of many departments, and on the state level, she co-chaired three conventions for the Pennsylvania Federation of Women’s Clubs. She was preceded in death by her parents, Frank and Elizabeth Demes; siblings, Elizabeth (Steve) Mazura, Frank (Elizabeth) Demes, Irene (Ned) Moyle; and her husband, Glen R. Oskin, Sr. and her son, Glen R. Oskin, Jr. She is survived by her daughter, Deborah Spell (William Sr.) of Duquesne; daughter-in-law, Pat Zelop of Belleville, TX; grandchildren, William Spell Jr. (Heather) of Herminie, Jenna Spell of Duquesne, Glen Oskin III (Desiree) of College Station, TX, and Lindsey Gilley (Scott) of Houston, TX; great-grandchildren, Baily, William III, and Brody Spell, Peyton and Parker Oskin, and Jackson, Ryan, and Maddie Gilley; her loving sister-in-law, Agnes “Nan” (Oskin) of East McKeesport; also numerous nieces and nephews. Visitation Thursday and Friday 2-8 p.m. at the MALOY-SCHLEIFER FUNERAL HOME, 915 Kennedy Avenue, Duquesne 412-466-3300. Additional visitation on Saturday, January 27, from 10-11 a.m. at the First Presbyterian Church of Duquesne, 719 Duquesne Blvd., where her services will be held at 11 a.m. Reverend Judy Slater officiating. In lieu of flowers, memorial contributions may be made to the First Prysbeterian Church of Duquesne. Frances M. Jones, 75, of Elizabeth died January 21, 2018. She was the daughter of the late Curtis and Margaret (Puckey) Everett. She is survived by children Curtis (Gail) Streyle, Allen (Peggy) Streyle, James (Victoria) Williams, Donnetta (William) Goodrich, Glori (Ed) Slate, Mara George, Kelly (Harry) Lueckert, Amber Williams, Adale Williams, Chad (April) Williams, and Christy Telles; niece Connie (Paul) Kennedy; nephew Donnie (Rachel) Everett; also many grandchildren and great-grandchildren. Friends received Wed. 6-8 at The Church 1683 Mars Hill Rd, Sutersville and Thur. 2-4 and 6-8 at The Church. A funeral service will be held Fri. 10am at The Church with Pastor Frank Rocco, interment following Round Hill Cemetery. Robert E. Wineland, age 74 of McKeesport, died Monday, January 22, 2018. He was born January 9, 1944 in McKeesport, the son of the late Earl W. and Elizabeth Plues Wineland. Robert served in the U.S. Marine Corp. in motor transport during the Vietnam War. Christine M. Spanbauer, age 65 of Liberty Borough, passed away at home on Monday, January 22, 2018 after a 7 1/2 year fight with cancer. Born November 26, 1952 in Pittsburgh, she was a daughter of Olga (Knezevich) Pribanich of Glassport and the late John Pribanich. 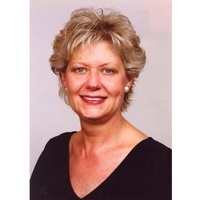 Audrey A. Staszak, 62 of Glassport, died Jan. 20, 2018. She is the daughter of the late Stanley and Dorothy (Elkowitz) Karnash. She is survived by her daughter Jennifer Staszak; granddaughter Kaylin Staszak and brother Richard Karnash. Audrey was a unit clerk for Jefferson Hospital. Friends received Wojciechowski Funeral Home, Glassport, Thurs. 2-4 and 6-8. A funeral blessing will be held Fri. 10:00 am in the funeral home with Father Miroslaus Wojcicki. Donald J. Duffy, 86, of North Huntingdon, passed away Monday, January 22, 2018 at RNC Greensburg. He was born, April 16, 1931 in East Pittsburgh, a son of the late James and Marie (Lewis) Duffy. 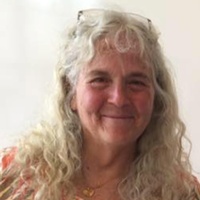 Shirley Ann Orbin passed away suddenly in her West Newton, Pennsylvania, home on January, 20, 2018. She was 66. She is survived by her two daughters, Rhonda Anthony (Orville) and Lisa Carwithen; three grandchildren, Bekah, Joseph, and Reece Carwithen; and two great-grandchildren, Braxton and Bailee. She was predeceased by her husband, Dennis R. Orbin. 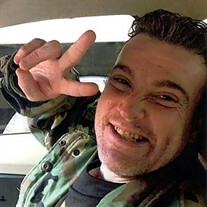 Daniel Shane Powell, 38, of Pittsburgh, passed unexpectedly Friday January 12, 2018. He was born August 21, 1979 in Braddock, a son of the late Daniel H. Powell Sr. and Debbie Reynolds. Daniel had a great sense of humor, enjoyed making others laugh, spending time with friends, playing computer, and video games. He is survived by his siblings Daniel H. (Danielle) Powell Jr. of Jeannette, Joph Greyno of Uniontown, Crystal (Jeff) Bick of Jeannette, Amanda Reynolds of Blairsville, Jeff (Rebecca) Greyno of Monarch, Samantha Powell-Reedy of Pittsburgh, Katie Powell-Reedy of White Oak, Richard Powell-Schmidt of Jeannette, and Tabatha Powell-Reedy of Irwin; many nieces and nephews. Marie Camille Pape (Sturchio) Del Grosso, age 83, went home to be with the Lord peacefully surrounded by her family on Thursday, January 18, 2018. She was born August 10, 1934 in Pittsburgh, a daughter of the late Louis and Anna Marie Sturchio. She retired after 20 years as a deli cook at the Foodland in Turtle Creek and enjoyed the time she spent at the Life Pittsburgh Senior Center in McKees Rocks. In addition to her parents, she is preceded in death by her first husband John Del Grosso and second husband Jack Pape; son John Del Grosso; brother Ralph Sturchio; and sister Nancy Carnevale. She is survived by her children Lena (Doug) King, Frank (Karen) Del Grosso and Jack Pape; 10 grandchildren; 12 greatgrandchildren; brothers Louis (Myra) Sturchio and Larry (Marilyn) Sturchio; and sisters Betty (Henry) Bachorski and Dolly Pici; and special cousin Tony DelleFemine, loved by many nieces and nephews; close friend Betty Zielinski; and Marie’s poodle Bella. Doris K. Mundorf, age 94, of White Oak, died January 18, 2018, at Atria Senior Living of the South Hills. Margaret Dranko, age 95, of Port Vue, died January 19, 2018, at John J. Kane Regional Medical Center. 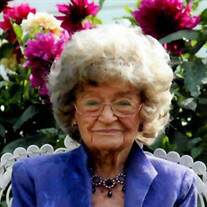 Violet R. "Scotty" Billy, 93 yrs. young, of Liberty Borough, and most recently Senior Care Plaza, McKeesport, peacefully passed on Tuesday, January 16, 2018, at Select Specialty Hospital, McKeesport. Born December 18, 1924 in Homestead, she was the daughter of the late Thomas and Margaret “Meg” (Warrender) Rodger and wife of the late Rodney H. “Rod” Billy for 59 ½ years. David Scott Hilpert, age 56, of McKeesport, died January 15, 2018, at home. Born November 21, 1961, he was the son of the late Edward F. Hilpert and Janet Marie (Callahan) (Bernard) Michaels. Peter Skalski, 83 of Glassport, died Jan. 19, 2018. He is the son of the late Peter and Priscilla (Kuzio) Skalski. He is survived by his sons Peter (Cynthia) Skalski of Essex, MD and Paul (Linda) Skalski of West Mifflin; grandchildren Jeffrey, Michael, Taryn and Sean; great grandchildren Lara, Kaya and Kinsley; sister Patricia (the late David) Markovich of Port Vue; brother James (Brenda) Skalski of FL; also nieces and nephews. Peter was retired from US Steel; was a member of the PNA in Glassport and Club 22. Friends received Wojciechowski Funeral Home, Glassport Mon. Jan. 22 from 2-6. A funeral service will be held Tues., Jan. 23 at 10:00 am in the funeral home. Interment following St. Mary's Polish Cemetery, White Oak. Pamela L. Smith, age 57, of Wilkinsburg, died January 11, 2018 at home. Born June 18, 1960 in Pittsburgh, she was the daughter of David William and Nellie Renee (Mixon) Smith. Grace (Drechsler) Burke, age 93, of Las Vegas, and formerly of Elrama, passed away on Sunday, January 14, 2018 at The Heights of Summerlin. She enjoyed golfing and traveling. Born November 21, 1924 in Elrama, she was a daughter of the late George and Agatha (Kampert) Drechsler and wife of the late William Burke. She is survived by numerous nieces and nephews. In addition to her parents and husband, she was preceded in death by sisters, Theresa Westwood, Margaret Whitworth, Minnie Drum and Catherine Declusin, and brothers, John, William and George Drechsler. Friends will be received in the Paul E. Bekavac Funeral Home, 221 North Second Avenue, Elizabeth on Tuesday, January 23, 2018 from 5-7:00 PM. A Mass of Christian Burial will take place on Wednesday, January 24, 2018 at 10:30 AM in St. Isaac Jogues Roman Catholic Church. Burial will follow in Round Hill Cemetery, Elizabeth Twp. Offer condolences at www.bekavacfuneralhome.com. Mercedes K. Cisco, age 79 of Clairton, passed away on Wednesday, January 17, 2018. Born August 16, 1938 in Mt. Pleasant, she was a daughter of the late Edward and Eleanor (Crilley) Smith. Henry “Hank” Merle Knox, 69, of Clairton, formerly of Elliottsville, PA, passed away at AHN Jefferson Hospital on Thursday, January 18, 2018. He was born October 5, 1948 in Fayette County to the late George and Rosetta Knox. Henry was a loving husband for 33 years to the late Yvonne Riggen Knox. He is survived by daughters; Virginia (Brian) Hilty of Greensburg, Candace Knox of Clairton, Tammy (John) Hayden of McKeesport; brothers; Roger Knox of Uniontown, George “Rusty” (Dee) Knox of Connellsville, Richard Knox of Clairton; sisters Carolyn Pici of McKeesport, Vanessa (Bill) Frost of Uniontown, Lori (Dolly) Knox; 10 grandchildren and 7 great-grandchildren. Along with his parents and wife, Henry was preceded in death by son, Henry Merle Knox; daughter, Nora Knox; brothers, Vernon Knox and Mark Knox. Henry served in the US Marine Corp during the Vietnam War, enjoyed car shows, camping, hunting, and socializing with others. He was a member of the AmVets in Uniontown and the VFW in Hopwood. Family and friends will be received Sunday, January 21, 2018 from 2 – 4 and 7 – 9 pm at S. M. FINNEY FUNERAL HOME, 432 N. 6th Street Clairton, PA 15025. A service will take place at the funeral home on Monday, January 22, 2018 at 11:00 am followed by interment at Round Hill Cemetery with full military honors. 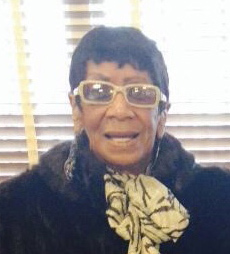 Audrey J. Fulton, age 83, of White Oak, died January 17, 2018, at Independence Court of Monroeville. Maryann Dandrea, age 81 of McKeesport, passed away on Thursday, January 18, 2018 in John J. Kane Regional Center - McKeesport. Born November 16, 1936 in McKeesport, she was a daughter of the late Frank J. and Veronica (Zalac) Kolic. 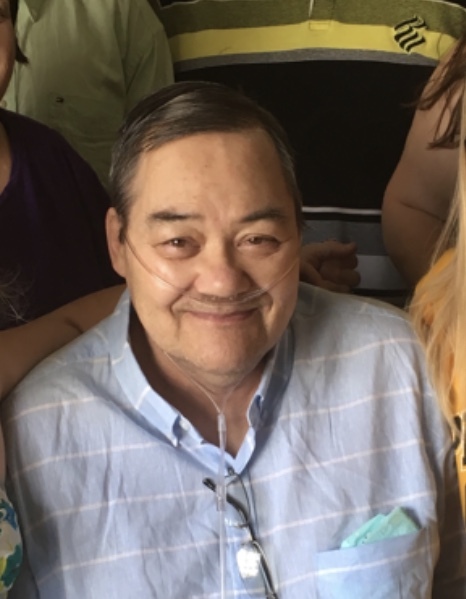 Dale A. McCarthy, age 59, of Irwin, PA, passed away Tuesday, January 16, 2018, at his home. 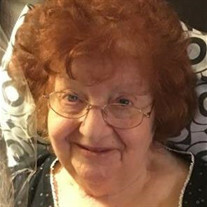 Patricia J. Bornyas, 89, of Elizabeth Twp. and formerly of Liberty Borough and Duquesne, passed away peacefully at home on Tuesday, January 16, 2018. William J. 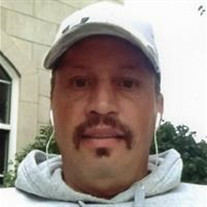 "Bill" Morgan, age 49, of Saltsburg, PA, died January 13, 2018, in Latrobe, PA. Born June 5, 1968, in Cleveland, OH, he was the son of the late Dennis and June (Lear) Morgan and the husband of Sheryl (Weiss) Morgan. Bill worked as an auto mechanic. 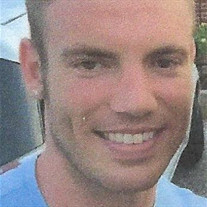 He had a passion for working on cars, building go-carts and working out at the gym. He was very proud of his children and cherished the time spent with his family. 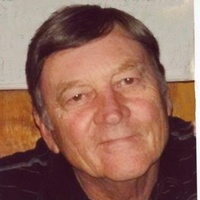 In addition to his wife, Bill is survived by his children, Shannon (Raymond) Giles of Conneautville, PA, Jennifer Morgan, Elizabethtown, KY, Dennis Morgan II, of Saltsburg, PA. Christina (Seth) Bailey of Alliance, OH, Stephanie (Jeremy) Litton of Campelsville, KY, William J. (Morgan) Homrighausen Jr. of Polland, OH, Jessica and Angelica Morgan both of Saltsburg, PA; grandson, Bryson Giles. Arrangements were entrusted to Jaycox-Jaworski Funeral Home & Crematory. Raymond Francis Urbanek, age 86 of Clairton, passed away on Friday, January 12, 2018 at Jefferson Hospital. Born May 8, 1931 in McKeesport, he was a son of the late Joseph F. and Sophia E. (McKloskey) Urbanek. Alexa Meadows, age 26, of Munhall died January 12, 2018, at UPMC Presbyterian Hospital. Born October 24, 1991 in McKeesport, she was the daughter of Alexander Meadows and Camille Brown. Virginia M. Oblack, age 88, of McKeesport, died January 14, 2018, at Jefferson Regional Hospital. Born June 2, 1929, in McKeesport, she was the daughter of the late Michael and Nellie Praysner and the wife of the late Ernest A. Oblack. Cloabell M. Jessop, age 92, of Irwin, passed away Monday, January 15, 2018 at Redstone Highlands, North Huntingdon. William H. Beardsley Jr., age 88, of North Huntingdon, passed away Monday, January 15, 2018 at Walden's View, North Huntingdon. He was born November 21, 1929 in McKeesport, Pa., a son of the late William H. and Hilda A. (Gondean) Beardsley. FRANCIS R. "FRAN" DALEY age 87, of Duquesne, on January 14, 2018. He was a son of the late Daniel and Mary (McElhinney) Daley. Fran was retired from the County Board of Assessment Appeals. He was a member of Christ the Light of the World Parish where he was a former usher and a member of their pastoral council and a former member of the finance committee. He was a former mayor of Duquesne, past president of the Duquesne Redevelopment Authority, past chairman of the Duquesne Planning Commission, former Governor of the Duquesne Moose, former vice president of the D.B.A.C., former City Controller and School Board member. He was a board member of the Duquesne-West Mifflin Boys and Girls Club, was past president of the Allegheny County League of Municipalities, chairman of Duquesne Democratic Party and Allegheny County Democratic Committee. He was honored as the Duquesne Man of the Year in the early 90's. He organized several charity golf tournaments, was an avid golfer, worked into his early 80's helping people with property assessments. He enjoyed traveling and watching his grandsons play baseball and basketball and was also a member of the Teutonia Mannerchor Club and the Croatian Club, both in Duquesne. He was a champion of people who were underprivileged and underserved. Beloved husband for 52 years to the late Nancy R. (Swanson) Daley who died May 18, 2017; father of Attorney Robert (Danielle) Daley of Munhall, Kristen (Dr. Jay Goldberg) Daley of Petaluma, CA; grandfather of Max Daley and twins, Jack and Michael Daley and Sadie Goldberg and Scarlett Goldberg; brother of the late Jean Martin, Mary Minnick, Rose Mooney, Daniel Daley, William Daley and James Daley; brother-in-law of Claire (Roger) Holcombe of Red Hill, PA; also survived by numerous nieces and nephews. Visitation on Thursday, January 18, 2018, from 4-8 p.m. at the MALOY - SCHLEIFER FUNERAL HOME, 915 Kennedy Ave., Duquesne, 412-466-3300 where a Blessing Service will be held on Friday at 9:30 a.m. followed by Mass of Christian Burial at Holy Name Church of Christ the Light of the World Parish at 10 a.m. Rev. Thomas Lewandowski celebrant. Burial will be in Holy Name Cemetery, West Mifflin. In lieu of flowers, memorial contributions may be made to the Duquesne-West Mifflin Boys and Girls Club, 29 N. Third St., Duquesne, PA 15110. BERNARD G. "WHITEY" ANDERSON age 83, of Espyville, PA, formerly of McKeesport, on January 12, 2018, at home. He was a son of the late Oscar P. and Margaret (Roberts) Anderson. Whitey was retired from US Steel, National Tube Works in McKeesport. He enjoyed hunting and fishing and proudly served his country in the Army during the Korean War. Father of Pamela (Jake) Watkins of Munhall, Thomas (Dawn) Anderson of White Oak, and the late Cheryl Anderson; grandfather of Jason (Jamie) Watkins, Shawn Watkins, and Tracy Watkins; great-grandfather of Callan Watkins and Rylan Watkins; also survived by his best feline friend, "Ralph." Visitation on Tuesday, January 16, 2018, from 2-4 and 6-8 p.m. at the MALOY - SCHLEIFER FUNERAL HOME, 915 Kennedy Ave., Duquesne, 42-466-3300 where a Blessing Service will be held on Wednesday at 10 a.m. Reverend Thomas Lewandowski officiating. Burial will be in Greensburg Catholic Cemetery with military honors. Lois Jean Dewey, 60, of White Oak, formerly of Clairton, died Sunday, January 14, 2018 at home. She was born July 29, 1957 in McKeesport and was the daughter of James L. Felicetty of Jefferson Hills and the late Carolyn Forrester Felicetty. In addition to her father, she is survived by her daughter, Heather (Dominic)Dewey and son, Aaron (Jennifer) Dewey of Seaford, Delaware, grandchildren, Olivia Batchelder, Brielle Dewey and Bryant Faulk, sisters, Bella (Dave) Hinerman of White Oak and Jayne Felicetty of Jefferson Hills, nieces and nephews. She was preceded in death by brothers, Merle, James, Edward and John Felicetty. Ramona L. (Nelson) Lucas, 88, of North Huntingdon, died Friday January 12, 2018. She was born January 26, 1929 in Greensburg, a daughter of the late John P. and Muriel (McMichael) Nelson and was also preceded in death by her husband Roscoe Lucas, her daughter Jennifer, a step son Ross Lucas, and a great grandson Zachary Hall. She was a social member of VFW Post 781, Irwin. Surviving are her children Diana Jones of Jeannette, Parago (Zia) Jones of CO, Dave (Lisa) Jones of North Huntingdon, Jan (Pam) Jones of Wall, and Dayna (Tony) Shusteric and Tom (Mary) Keaton both of North Huntingdon; fifteen grandchildren; fourteen great grandchildren; seven great great grandchildren; a sister Greta (Jim) Shumate of OH; also many nieces and nephews. Ruth Owens Cox, 100, of North Huntingdon, died Sunday January 14, 2018, at home. She was born November 10, 1917 in Penn Shaft, North Huntingdon, a daughter of the late James Garfield and Elizabeth (McCann) Owens and was also preceded in death by her husband Donald C. Cox, her daughter in law Judith Cox, and siblings Richard, Charles, James, and Mary Owens. She is survived by her children Franklin D. Cox of Venice, FL, James C. (Barbara) Cox of Sarasota, FL, and Donna Cox of North Huntingdon; her grandchildren Leslie (Dennis) Kennemur, Franklin D. (Linda) Cox Jr., James C. (Michele) Cox II, Michael J. Cox (Justine LaMastra), and Kathleen (Kyle) Cancellieri; and her great grandchildren Sarah Elizabeth Cox, Jesse Elizabeth Cox, Dylan Cancellieri, and Camden Cancellieri. James A. Howell, age 82, of McKeesport, died January 14, 2018, at Family Hospice and Palliative Care. John Brletic, age 89 , of McKeesport, died January 15, 2018, at home surrounded by his loving family. Warren F. Albeck, age 71, of Lincoln Borough, died January 13, 2018, unexpectedly at UPMC McKeesport. Born August 13, 1946, in McKeesport, he was the son of the late Warren H. and Grace (Eicker) Albeck and the husband of Henrietta (Pasternak) Albeck, they shared over 51 years of love and laughs together. Helen A. Mascilak, 82, of North Huntingdon, passed away Sunday, January 14, 2018 at Forbes Regional Hospital. Oliva "Ollie" (Dinello) Merletto, age 84, of Elizabeth Twp., passed away on Saturday, January 13, 2018 at home. She retired after 42 years as a waitress at Metz Restaurant in Elizabeth Twp. She was a member of St. Michael Parish in Elizabeth Twp. where she was a Eucharistic minister. She was a former avid bowler at Colonial Lanes. Patricia A. 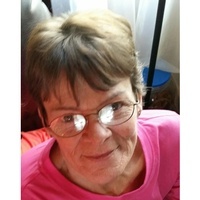 (Kendi) Crawley, 66, of Glassport, formerly of Youngstown, PA, died Jan. 13, 2018. She was the daughter of the late George and Helen (Hovenec) Kendi. She is survived by her loving husband of 44 years, Richard Crawley; was the beloved mother to sons Nathan (Trish) Crawley, Tyler Crawley, and Richard Crawley, all from Glassport; beloved Bubba to twin granddaughters Hailey and Madison; and sister-in-law Rita Jones, St. Cloud FL. Patricia was a longtime member of the First Catholic Slovak Ladies Association and the Polish National Alliance. She graduated from Latrobe High School. She was the sweetest and most caring person and will be missed by many. Friends will be received at Wojciechowski Funeral Home, Glassport, Wed. 2-4 p.m. and 6-8 p.m. A funeral mass will be held Thurs. 10:00 a.m. at Queen of the Rosary Parish with Rev. Miroslaus Wojcicki. Interment following at New St. Joseph Cemetery. Debra Ann "Bee Bee" Pomposelli, 62, of Christy Park, was called home to heaven on Friday, January 12, 2018. She was born January 13, 1955 in Pittsburgh and was the daughter of the late Joseph and Gayle Kelly Pomposelli. She was a member of St. Robert Bellarmine Catholic Church, East McKeesport and worked at the Penn State Greater Allegheny McKeesport Campus for over 30 years. She was a graduate of Penn State University. She will be missed by her only sister, Linda (Dan) Bazylak of Destin, FL, and nieces, Danielle (Chris) Bazylak Fettig and their children, Christian and Weston of Meadville, and Sarah (Justin) Bazylak Dickey and their children, Charlie and Jenna of Atlantic. Bee Bee adored her great-nieces and nephews, as if they were her own children. Michael Joseph Davis, 80, of Buena Vista, died Thursday, January 11, 2018. He was born November 23, 1937 in Elwood, IN, and was the son of the late Margaret Dyer (Walter) Wallace and Ralph L. Davis. He was the husband of the late Maryann Betz Davis who died November 13, 2017. They were married for 53 years. Michael was a 1955 graduate of the former St. Peter High School in McKeesport and was a US Army Veteran. He was a Group Leader at US Steel Irwin Works and retired after 40 years of service. He was a member of the First Evangelical Free Church of McKeesport and Calvary Chapel of South Pittsburgh. He was also a member of the Port Vue and White Oak American Legions and the Elizabeth Township Senior Citizens. He is survived by his sons, Paul M. (Debbie) Davis of Pennsville, NJ, and Christopher A. (Alycia Albis) Davis of Charlotte, NC, daughter, Susan A. (Ron Hunt) Davis of Port Vue, grandsons, Christopher A. Davis, II, and Jason B. Davis of Charlotte, NC, brother-in-law, Frank G. (Diane) Betz of North Huntingdon, sisters-in-law, Eileen R. Morgan of Liberty Borough and Karen E. Cloonan of Lancaster, nieces and nephews. Eva J. Zeleznik, 101 of Duquesne, wife of the late John Zeleznik, died Jan. 8, 2018. She is the daughter of the late Maximillion and Anna (Purgaric) Wandrey. She is survived by her daughters Roberta (Michael) Robbe of Export and Patricia (John) Hornyak of Wallingford, CT; grandchildren George (Kathy) and Mark (Nancy) Hornyak; great grandchildren Jack, Julia, Nathan, Bailey and Cole; brother-in-law G. Richard Misenhelter; also many nieces and nephews. Eva was preceded in death by her brother Robert (Mary) Wandrey; brother-in-laws Michael (Irene) Zeleznik, Myles (Elsie) Zeleznik and Albert "Timmy" Zeleznik; sister-in-laws Marie Janesko and Lydia Misenhelter. 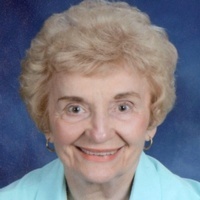 Eva was a very active member of St. John Mark Lutheran Church in Homestead; was a Girl Scout leader for over 20 years; was a member of both the Duquense and Allegheny County Women's Club, where she was an active volunteer for Operation Smile. In her youth, Eva was an avid tennis player, belonging to a church league, consisting of 5 teams, of which she was the only female. She had many hobbies, including hat making, sewing, knitting, crocheting and golf, but her passion was cards. She belonged to several card clubs and played every chance she got. A memorial service will be held Feb. 3, 2018 at St. John Mark Lutheran Church at 2:00 pm. Funeral arrangements by Teichart-Gracan Funeral Home, Duquesne. In lieu of flowers, memorial contributions may be made to the church in Eva's memory. Dorothy J. “Dee Jay” (Wright) Becker, of Westmoreland City, went to be with her Lord, Wednesday, January 10, 2018. She was born September 9, 1934 in Westmoreland City, a daughter of the late William Henry and Eleanor (Wolf) Wright. She was a great wife, wonderful mother, and loving grandma to 4 grandsons, 2 granddaughters, and 3 great grandchildren. 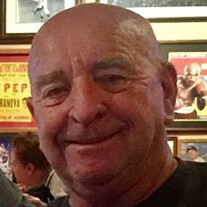 Dee Jay graduated from North Huntingdon High School, Class of 1953. While at North Huntingdon High she was a member of the marching band, never having missed a parade or half time show performing on her clarinet. She could be heard rooting for the “Bulldogs”. During her junior and senior years she was selected for the Westmoreland County Orchestra. She marched for the Manor Fireman’s Band until it disbanded in the 1950’s. The day before high school graduation she was hired as a clerk typist for Westinghouse Airbrake Company and worked there until 1959. She took ten years off to raise her two children. Ethel G. (Frye) Lewis, 100, of Irwin, went to be with her Lord and Savior, Tuesday, January 9, 2018 at Golden Heights Personal Care Center, Irwin. She was born February 4, 1917 in Irwin a daughter of the late Adam H. and Anna M. Kontur Frye and was also preceded in death by her husband Arthur W. Lewis, a son John “Jack” Lewis, and siblings Kenneth E. Frye and Hazel Breyer. Her Lord and Savior were first in her life as she was a longtime active member of First Assembly of God Church, Irwin. She would spread God’s Word everywhere she went not only with her own words but by giving anyone who would receive it a religious “tract” containing the good word. She loved her family very much and enjoyed spending time with them. Along with her late husband Art she owned and operated the Isaly’s Stores in Irwin and Norwin Towne Square from 1945 to 1988. She was a former member of the Norwin Art League. Surviving are her children Judith A. Schade and Patricia L Suley and her husband Emil all of North Huntingdon; her grandchildren Judith Stefl, Michelle Lewis, Melissa Rudinsky, Patricia Schade, Laddie (Amy) Schade, David (Jodie) Schade, Jonathan B. (Misty) Suley, and Mark R. (Monica) Suley; thirteen great grandchildren; three great great grandchildren; also nieces and nephews. Michael McDermott, 72, of North Huntingdon, found eternal peace on Thursday, January 11, 2018 at home surrounded by his loving family. Robert "Chut" Paredes, age 88, of North Versailles, passed away Wednesday, January 10, 2018 at Donell House, Washington, PA. He was born October 20, 1929 in Donora, PA, a son of the late Manuel and Josephine (Szmuc) Paredes. Nathan Gebadlo, age 21, of Hunker, Pa., passed away Tuesday, January 9, 2018 at his home. He was born, July 22, 1996 in Monroeville, Pa. beloved son of Mark and Jill Klass Gebadlo. Annette Zyma, age 86, of North Versailles, died Jan. 9, 2018, at her home. Born Feb. 7, 1931, in McKeesport, she was a daughter of the late Casper and Sophia (Osolinski) Rybka and the wife of the late Edwin Zyma. Andrew A. Hanick, age 88, formerly of Elizabeth Twp., passed away on Wednesday, January 10, 2018 at Walnut Ridge Memory Care. He retired as a foreman for U.S. Steel Clairton Works. A 1946 graduate of Clairton High School, he was a member of St. Michael Parish in Elizabeth Twp. and the Knights of Columbus, and was a second degree black belt in tae kwon do. He was formerly an active volunteer with the Divine Redeemer and a Eucharistic Minister at St. Michaels Parish. The family would like to thank Heartland Hospice and Walnut Ridge Memory Care. John F. Thompson, age 97, of North Huntingdon, passed away Tuesday, January 9, 2018 at Westmoreland Manor, Greensburg. Guy Anthony Peluso, 95, of Port Vue, died Monday, January 8, 2018. He was born April 7, 1922 in Glassport and was the son of the late Carmine and Maddalena Corcioni Peluso. He was the husband of the late Anne Hazy Peluso who died January 8, 2016. 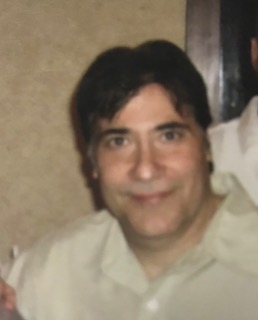 Guy was a member of St. Michael Parish in Elizabeth Township, Port Vue American Legion, the Italian Social Club and Polish Hall in Glassport, the former Old Timers Softball League in Port Vue, and the former Port Vue Poker Club. He was also a Bugler for the former Pittsburgh Rockets. Guy was a WWII Army Veteran. For his service, he received the Purple Heart Medal, Good Conduct Medal, American Theatre Service Medal, and the EAME Theatre Victory Medal with 1 Bronze Star. He is survived by his son, Guy M. (Karen) Peluso of Sarasota, FL, daughters, Sandy (Ronald) Mink of Mount Vernon and Dariyn Peluso Campbell of Port Vue, sister, Mary Peluso of Grindstone, grandchildren, Kyndll, Kristy, Lysa, Michael, Brandi, and Karlenn, great-grandchildren, Jim, Lacee, Levi, Josh, Harleigh, Holly, Ally, Skyler, Alyx, and Hunter, great-great-grandchildren, Lille, Richard, Thomas and Jack, nieces and nephews. Arthur Lawrence Hartos, age 95 of West Mifflin, rejoined his beloved wife, Blanche Barbara Melcarsky Hartos, in Heaven on Monday, January 8, 2018. He was born September 11, 1922 in Duquesne, the son of the late George and Anna Zombek Hartos and resided at the home that he built with his father in West Mifflin. Jean (Billick) Brown, age 99, of Elizabeth, died on Sunday, January 7, 2018 at home. 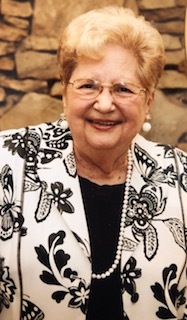 A graduate of Westminster College and a member of Bethesda United Presbyterian Church in Elizabeth, she was a retired teacher in the Elizabeth Forward School District. Friends will be received Friday from 4-8 pm at Morning Star Baptist church 307 Shaw Avenue, Clairton, Pennsylvania, where services will be held on Saturday at 11 a.m.
Interment will follow in the Restland Memorial Park, Monroeville, Pennsylvania 15146. Arrangements entrusted to the Robert A. 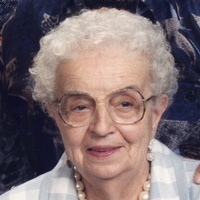 Waters Funeral Home, Inc., Clairton, PA.
Visit our site at https://www.watersfuneralhome.net/notices/Mary-Maxwell to read the obituary in it entirety. Judy Ann DePaul, age 72 formerly of the South Hills passed away January 8, 2018 at Walnut Ridge Memory Care, Greensburg. Born on July 28, 1945 to parents Evelyn (Magee) and Charles Daugherty in Herminie, Pa., Judy was the fifth child in what would become a family of 14. The happiest moments of her younger years were spent exploring the woods with her closest siblings, and instinctively navigating the kind of poverty that few experience. Regardless, Judy’s quiet strength grew over time. She completed a registered nursing program at St. Francis School of Nursing in Pittsburgh, which set her on a lifelong path of caring for others. Helen J. Yanik, age 98 of Jefferson Hills, passed away on Tuesday, January 9, 2018 in Mt. Vernon of South Park. Born October 27, 1919 in Jefferson Hills, she was a daughter of the late Michael and Julia (Vicenec) Yanik. Joanne Marie Nowading, of White Oak, died on her 89th birthday surrounded by her family, January 8, 2018, at Autumn Ridge Personal Living. Born January 8, 1929, in Johnstown, PA, she was the daughter of the late Lloyd and Marie (Scholley) McGregor and the wife of the late Joseph R. Nowading. Clarence A. Charlesworth, age 72, of Bethel Park, formerly of McKeesport, died January 7, 2018, at home. Margaret E. (Kibe) Hood, age 105, of Pleasant Hills and formerly of West Elizabeth, passed away on Saturday, January 6, 2018 at Jefferson Hospital. She enjoyed gardening and her word search puzzles. Born August 23, 1912 in Derry, she was a daughter of the late Walter C. and Rose (Gindlesperger) Kibe and wife of the late Leroy L. Hood. Keith Budd Ulander, 72, of West Newton, died Saturday, January 6, 2018 at UPMC Presbyterian Hospital, Pittsburgh. He was born May 23, 1945 in McKeesport and was the son of the late Budd and Louise Hartbarger Ulander. 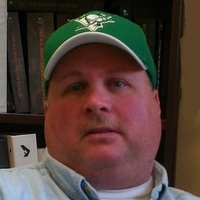 Keith was a sheet metal worker for Sheet Metal Workers Local 12 and was retired from SSM Industries, Pittsburgh. He was a member of VFW Post 7812, Jacktown Ride and Hunt Club, Collinsburg Leiderkranz and Collinsburg Slovenian Club, West Newton LOOM 31, Punta Gorda Elks # 2606, and the Mosquito Creek Sportsman's Club in Frenchville. Keith was an avid hunter and fisherman. He is survived by his wife, Donna L. Litvany Ulander, step son, Barry Opfer, Jr., and his children, Izabella and Anastazia Opfer of Elizabeth Township, sister, Susan (Jack) Celapino and brother, Greg (Barbara) Ulander of West Newton, nephew, Ryan (Amy) Ulander and their children, Cody and Blake, nieces, nephews, brother-in-law, Gary (Joyce) Litvany of West Newton and many special friends. MARK W. PROCACINA age 57, of McKeesport, formerly of Duquesne, on January 4, 2018. He was the son of the late William “Muzzie” and Frances “Sissy” (Yasko) Procacina. Mark was a Senior Lab Tech at Bechtel Bettis Atomic Plant in West Mifflin. 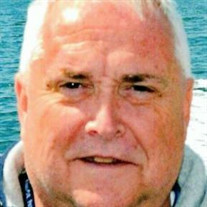 He enjoyed fishing, live music, sporting events and watching Sunday Steelers games with his sons. He was a 1978 graduate of Duquesne High School and a graduate of Pittsburgh Institute of Aeronautics. Mark was blessed with an innate intelligence and wisdom. His guidance and advice will be epically missed. He is survived by his former wife, Hope (Minnicks) Procacina; beloved father of Mark T. Procacina of McKeesport and Craig K. (Brittany) Procacina of North Versailles; brother of Karen (Eric) Kessler of Clairton and Lynne (Frank) Canova of Monroeville; beloved uncle of Gianna Canova. Visitation Wednesday and Thursday from 2-4 and 6-8 p.m. at the MALOY - SCHLEIFER FUNERAL HOME, 915 Kennedy Ave., Duquesne, 412-466-3300. Funeral on Friday, January 12, 2018, with a Blessing Service at the funeral home at 9:30 a.m. followed by Mass of Christian Burial at Holy Name Church of Christ the Light of the World Parish at 10 a.m. Rev. Thomas Lewandowski, celebrant. May Gabriel blow his glorious horn as God has received his beautiful and wise soul. Timothy R. Meighen, age 69, of McKeesport, died December 31, 2017, at home. He was the son of Charles and Ann Meighen. Robin C. Murphy, age 50, of McKeesport, died December 29, 2017, at UPMC McKeesport. Terrance Yonek, age 60, of Clairton, died December 21, 2017, at Jefferson Regional Hospital. Theresa “Tessy” Waligura, age 65, of Monroeville, died January 3rd, 2018. She was born in Pittsburgh, PA on September 16th, 1952, the daughter of the late George R. and Ann Frederick Schlicht. She is survived by her husband, Dr. R. Curtis Waligura of Monroeville; daughters, Megan (Christopher) Brengel of Morristown, NJ, Emily (Scott) Deke of Dallas, TX, Melanie (Timothy Collins) Waligura of Dallas, TX, Kathryn (Arianne Smith) Waligura of Cincinnati, OH; sisters, Georgeanne Schlicht of White Oak, Margaret Schlicht Creehan of McKeesport, Patricia (Joseph Quinn) Schlicht of Squirrel Hill; brothers, George R. Schlicht, Jr. of McKeesport, John (Jill) Schlicht of Atlanta, GA; and grandchildren, Patrick, Parker, and Cameron. 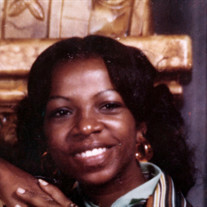 Along with her parents, she was preceded in death by her brother Michael, and her sister-in-law, Lillian Martinez. Tessy received her nursing degree from the McKeesport Hospital School of Nursing and then her Bachelor of Science in nursing from Penn State University. Her relationship with her husband, Curt, began while she was working on the IV team at McKeesport Hospital. She worked alongside him for over 15 years as the office manager and patient care advocate. Tessy loved to play golf and enjoyed late nights at the casino. She was fond of traveling with Curt and their close friends, as well as fine dining and red wine. Her greatest passion was spending time with her daughters and grandchildren. Jerome M. Pollier, age 71, of McKeesport, died January 1, 2018, at UPMC McKeesport. John M. Kelly Sr., age 81, of North Huntingdon, passed away Thursday, January 4, 2018 at Excela Health Westmoreland Hospital. 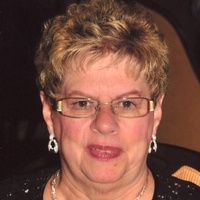 Norma G. (Reschenthaler) Detwiler, age 65, of McKeesport, and passed away on Thursday, January 4, 2018 at John J. Kane Regional Center - McKeesport. A retired chef, she was a member of Elizabeth United Methodist Church. She loved her swimming pool and the sunshine. Colleen Karabin Lucas, 81, of Elizabeth Township, died peacefully at home on Wednesday, January 3, 2018. She was born May 16, 1936 in McKeesport and was the daughter of the late Michael and Helen (Carloss) Karabin. She was a graduate of McKeesport High School Class of 1954 and graduated from McKeesport Hospital School of Nursing in 1957. Colleen practiced Nursing for over 40 years and is a member of McKeesport Hospital Nurses Alumni. Colleen was a born-again Christian for 47 years and attended First Evangelical Free Church in McKeesport where she was involved for many years. She was a member of the Red Hat Society in Elizabeth Township and Merritt Island, FL. She loved to take photos and shot every event for family and friends. 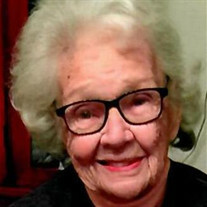 She is survived by her husband of 60 years, John P. Lucas, Jr. She was a devoted mother to Wendy Lego, son-in-law, Michael Lego and granddaughters, Cassidy Lego, and Caroline Lego of Peters Township. Larry Hindman, age 66, of Port Vue, passed away on January 4, 2018. He was born in McKeesport, PA, the son of the late Oliver and Alice Edinboro Trumpe Hindman. David G. Hale, age 78, of McKeesport, died Jan. 1, 2018, at Glen Hazel Regional Care Center in Pittsburgh. Born July 6, 1939, in New Castle, he was the son of the late George and Vera (Kachmar) Hale and the husband of the late Melda (Hatcher) Hale. Betty Ruth Burstin, age 89 of New York, NY, formerly of Duquesne, died Sunday, December 31, 2017. She was born in McKeesport on July 29, 1928 and is the daughter of the late Louis and Ida Schermer Burstin. She was an English Teacher for over 40 years and enjoyed water color painting. She is survived by her brother, Dr. Charles Joel Burstin and his wife, Judith Ann Burstin of Beverly Hills, California; as well as 2 nieces Michaelle and Stacy Burstin and a nephew, Brad Burstin. 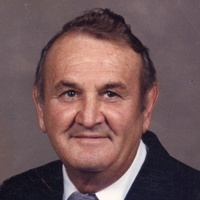 Julius M. Bakos, Sr., age 94, formerly of McKeesport, died January 1, 2018, in Royersford, PA. Born June 10, 1923, in McKeesport, he was the son of the late Michael and Rose (Homoki) Bakos and the husband of the late Theresa (Smith) Bakos. Helen Lucille Lewis, age 89 of McKeesport, passed away on Tuesday, January 2, 2018 in UPMC McKeesport Hospital. Born March 9, 1928 in McKeesport, she was a daughter of the late Emmett and Agnes (Bumbarger) Wood. Reverend John Herbert Stubbs, 75 years old, went home to be with his Lord and Savior Jesus Christ on Tuesday, January 2, 2018. Rev. Stubbs of North Huntingdon, PA, formerly of Herminie #2, was born on August 3, 1942 in McKeesport, PA, son of the late John and Sue (Jones) Stubbs. He was preceded in death by his first wife, Margaret V. (Westfall) Stubbs; and his two sisters, Mrs. Marjorie (Donald Sr.) Rhodes and Mrs. Betty (Mischa) Stares. Daniel B. Kugler, age 60, of North Huntington, died December 27, 2017, at home. Born September 27, 1957, in McKeesport, he was the son of the late Richard and Loretta (Barry) Kugler. Mary J. Sabo, age 91 of Versailles, passed away on Tuesday, January 2, 2018 in UPMC McKeesport Hospital. Born April 2, 1926 in McKeesport, she was a daughter of the late Frank and Pepa (Sudarich) Grdich. Dolores M. Kugler, age 87, of McKeesport, died January 1, 2018, LGAR Health & Rehabilitation Center. Karen M. Smoyer, age 59 of Clairton, passed away at home on Tuesday, January 2, 2018. Born October 2, 1958, she was a daughter of the late John W. and Pearl (Cohen) Smoyer. Patricia A. (Kermes) Smith, age 68, of West Elizabeth, passed away on Sunday, December 31, 2017 at Jefferson Hospital. She retired as an assistant manager for 7-Eleven in West Elizabeth. She enjoyed cooking, gardening and family. Thomas C. Hoak, 69, of Westmoreland City, died Saturday December 30, 2017. He was born March 23, 1948 in Westmoreland City, the son of the late Thomas C. Sr. and Dorothy (Lewis) Hoak. Tom was a retired seventh grade history teacher for the Norwin School District. He was a graduate of California University and received a master’s degree from Duquesne University. 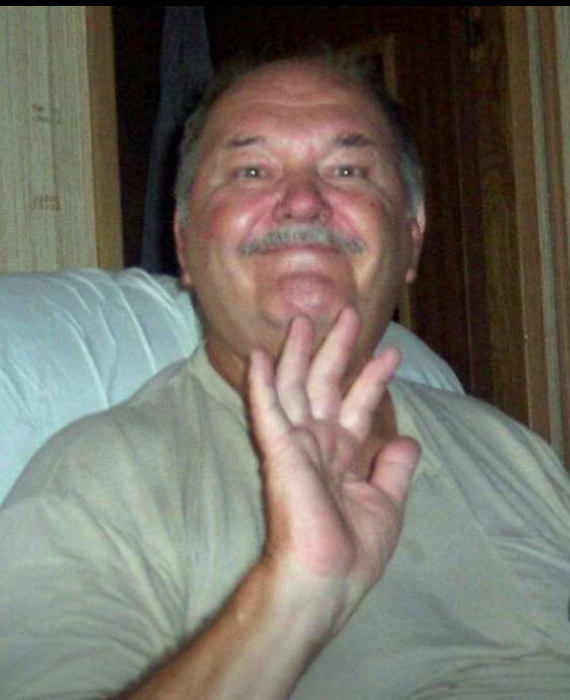 He was a member of Primitive Methodist Church, Westmoreland City and a longtime member of Rescue 8, North Huntingdon. He enjoyed gardening, photography, and traveling. He is survived by his wife of 36 years, Ruth Ann (Spencer) Hoak; his daughter Ashley L. Hoak of Kirksville, MO; his sisters Shirley (Jerry) Dohey of Forbes Road, Doris (Jim) Scarano of Westmoreland City, and Linda (Tom) Martin of Irwin; also nieces and nephews. James K. Orr, 75, of Boalsburg, formerly of North Huntingdon, died Sunday December 31, 2017. He was born March 28, 1942 in Wilkinsburg, the son of the late Ralph and Virginia (Knox) Orr. Jim was a retired employee of Baldwin-Whitehall School District having started his career as a teacher then becoming the federal program administrator for the school district. He was a member of First Presbyterian Church, Irwin. He is survived by his wife of 52 years Margaret “Peg” (McGill) Orr; his children Jennifer “Jennie” Orr of Windsor, CO and James D. “Jay” Orr and his wife Erin of Bellefonte; his grandchildren Grace and Ian Orr; his sister Linda Ribbeck of Indiana; also numerous nieces and nephews. Marian C. (Campoli) Thompson, 87, of White Oak, formerly of Blythedale, died Saturday December 30, 2017. She was born August 29, 1930 in Blythedale, a daughter of the late Deano “Blackie” and Viola (Elwood) Campoli and was also preceded in death by her husband Clare D. Thompson. She was a retired sales clerk for Lazarus Department Store, Monroeville Mall. Marian enjoyed the ladies lunch group and was a big Pittsburgh sports fan especially hockey. She is survived by her sisters Lorayne Reynolds of North Huntingdon and Marie Etta Schaefer of New Mexico; also nieces and nephews, great nieces and nephews and a great great niece Sophia. Nancy J. Dunkis, 58, of Elizabeth Township, died Sunday, December 31, 2017. She was born June 14, 1959 in McKeesport and was the daughter of David G. (Shirley) Dunkis of Moon Township and the late Nancy Young Dunkis who died August 20, 2004, She was a member of St. Patrick Parish, Christy Park, and was a member and past president of the Twentieth Century Club of McKeesport and AMEN Corner. Nancy was a volunteer for Women's Place and was an usherette at PPG Arena. She served as Campaign Manager of Democratic Party Judges Kevin Sasinoski and Donald Machen. She was a graduate of Westminster College and was a Housing Development Coordinator for Allegheny County Economic Development. She was an avid Steeler and Penguin fan. In addition to her father, she is also survived by her step-brothers, Greg (Tina) Spragg of West Aliquippa and Jeff (Heather) Spragg of Oakland, CA, aunts, Mary Anne (Matt) Goodwin of Largo, FL, uncle, Michael Halleron of FL, cousins, Beth Ann Masters of Newark, DE, Jennifer Gildea of Ottsville, David Brinkos of Seminole, FL, Niki (David) Koyalcik, Keli (Eric) Spieger both of Penn Hills, and many friends. Robert Abel, age 75, of North Huntingdon, passed away Tuesday, January 2, 2018 at his home. He was born May 20, 1942 in New Kensington, PA, a son of the late Joseph and Katherine Nowacki Abel. Jimmy Ray Sturkie, age 73 and formerly of Elizabeth Twp., passed away on Sunday, December 31, 2017 in Southwestern Nursing Center in West Mifflin. Born March 24, 1944 in Swansea, SC, he was a son of the late Eugene and Lucille (Stabler) Sturkie.